I started crocheting recently and I cant stop now. I was having problems making anything other than scarves for monkeys and then Liz showed me how to make granny squares for a top secret project we are working on and I improved. I made my self a couple wash clothes out of organic cotton that came out great, then tried to move on to other projects. Then, this Christmas I was in Mystic, CT and Dan's mom helped me out by lending me some books and patterns and gave me a ton of yarn. She had a book that had been in the family called The Complete Guide to Needlework. GET THIS BOOK!!! Its got everything I have ever wanted to know about all my favorite needlework projects, every stitch under the sun and cool projects. The pictures and directions on how to make everything are so easy to understand. I bought it from amazon for $6. 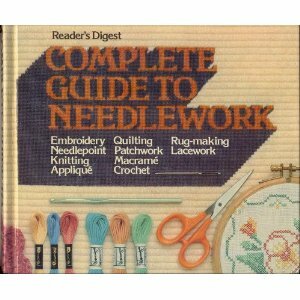 It is probably the best and biggest resource book for all things needlepoint I have ever read. I worked out of the book all weekend, learning every stitch for crochet. I made a sampler and some hats and now I feel confident to tackle any pattern I want! Our friend Drew (aka The Yeti) came to visit and go snowboarding with Dan and while they were out on the slopes I made a hat for him! Its my first one and I'm very proud. It only took me three tries. Haha. It has a pom pom and ear covers. Since then, I have made 3 more hats that are A LOT better. I made an "ugly hat" for my mom and a little hat for myself. A Whole Bunch of Happy Customer Photos.